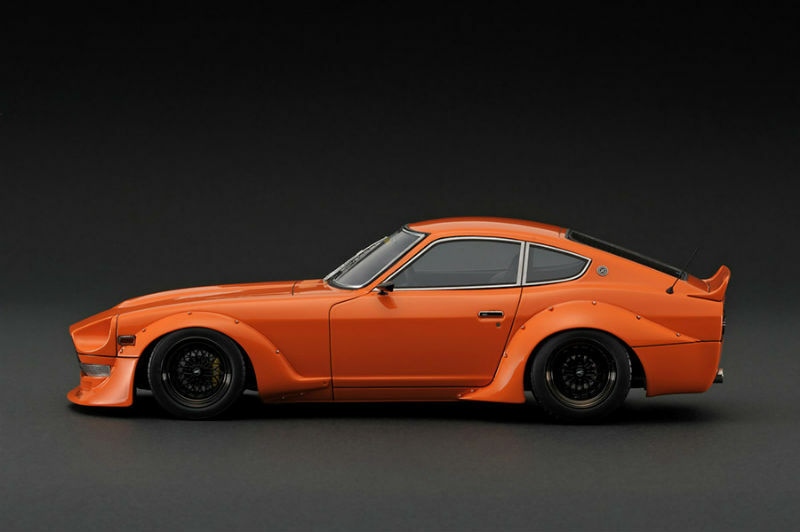 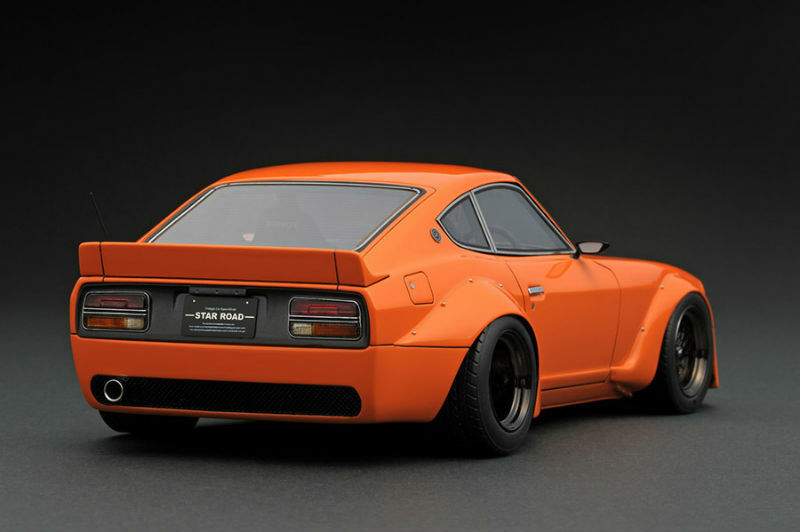 Another web exclusive comes from Ignition Model, the 1:18 Nissan Fairlady Z (S30) Star Road in Orange. 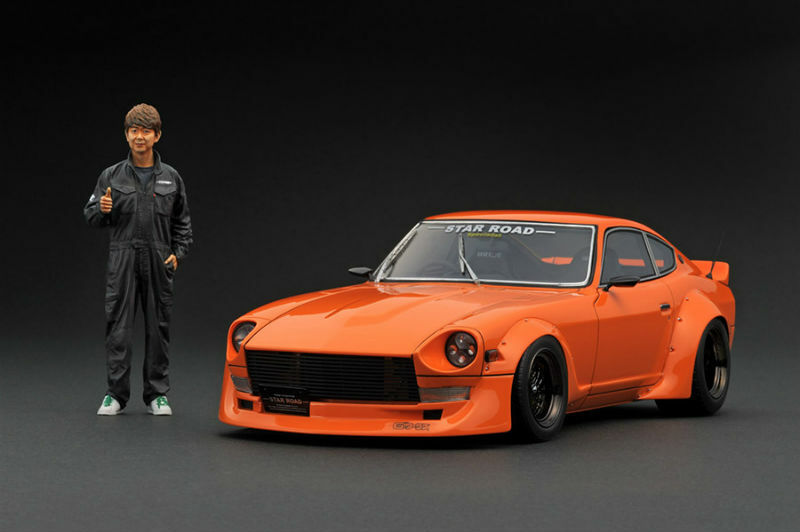 Along with the model comes 1:18 scale figurine of the president of Star Road, Mr. Masatsugu Inoue. 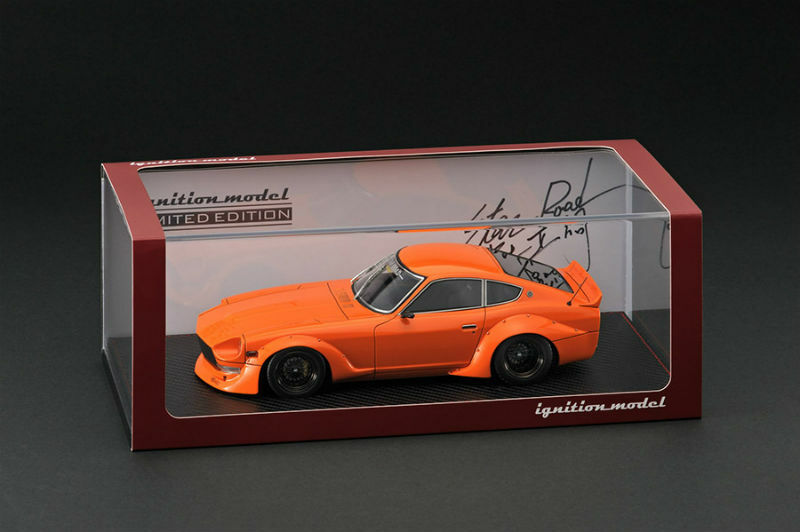 The model is highly detailed, right down to the “G Works” decal reproduced on the front lip. 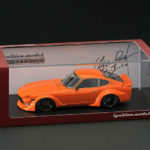 If interest this limited product piece with set you back about $375CND. 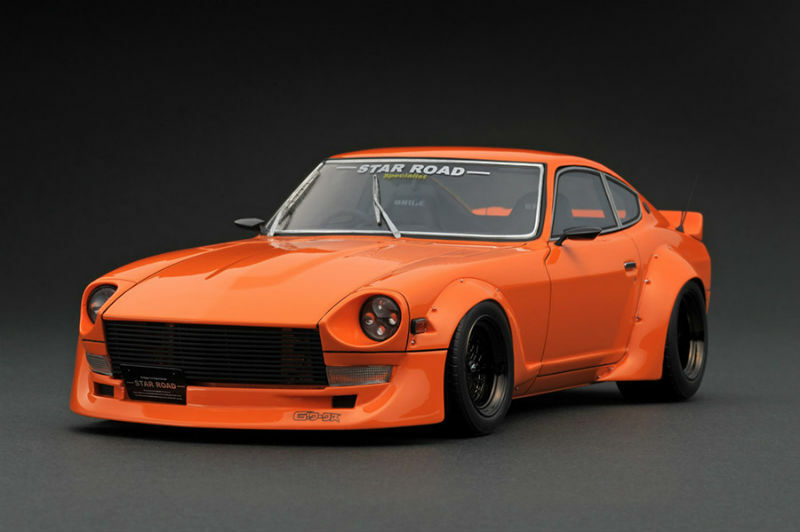 1 Response to "Ignition Model New Nissan Fairlady Z (S30) Star Road"
little known fact – this car got its headlights from the Merc G-wagen.